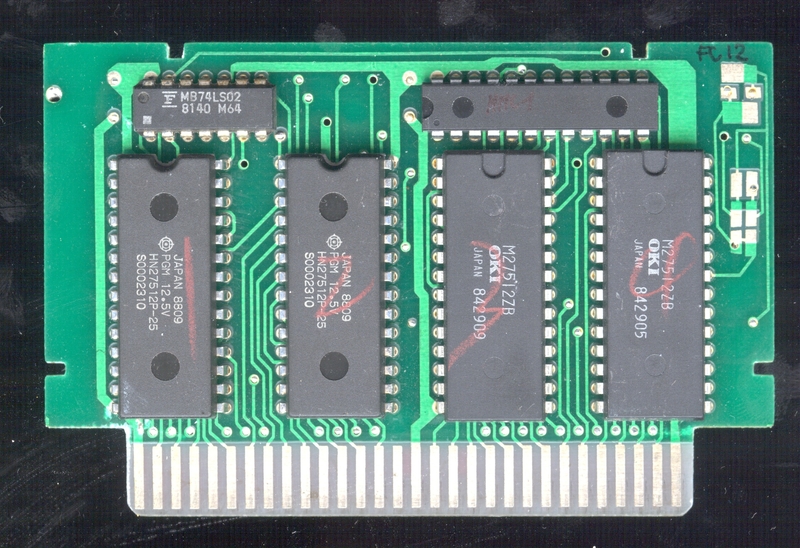 I got a bunch of non-working, mostly non-glob bootleg carts. 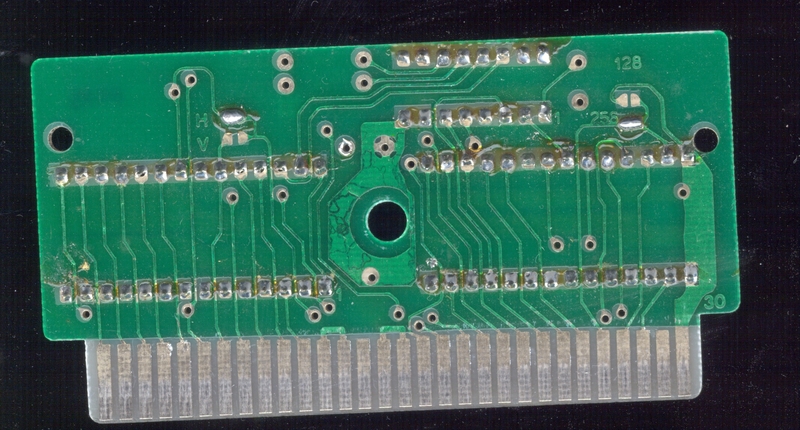 For most of them dirty connector or bended legs that cause short-circuit were reason for non-work, but for some of them problems were quite more interesting, like broken chip or broken traces. 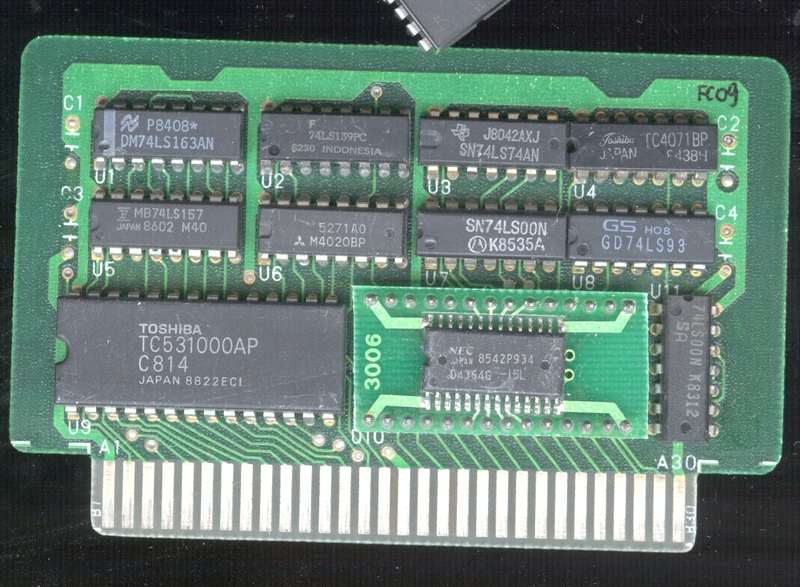 Anyway, some of the PCB are quite interesting (rare mappers) so I publish all photos/schemes, maybe some wiki articles can be updated. 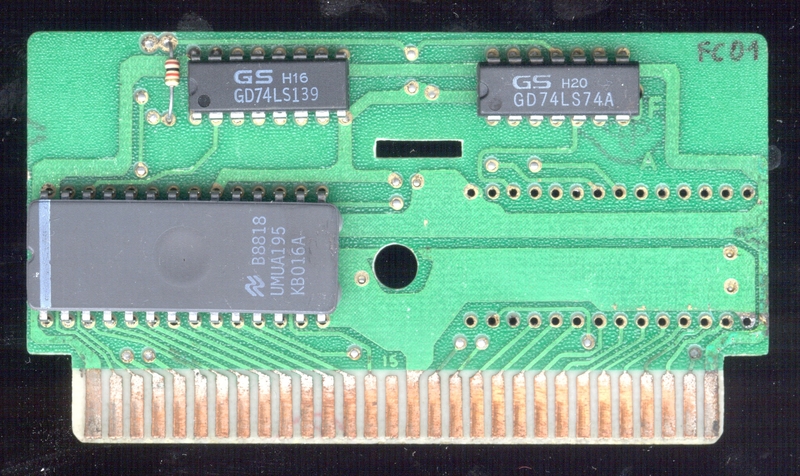 Comments: Both PRG & CHR has uncovered eprom window, so its content was destroyed. 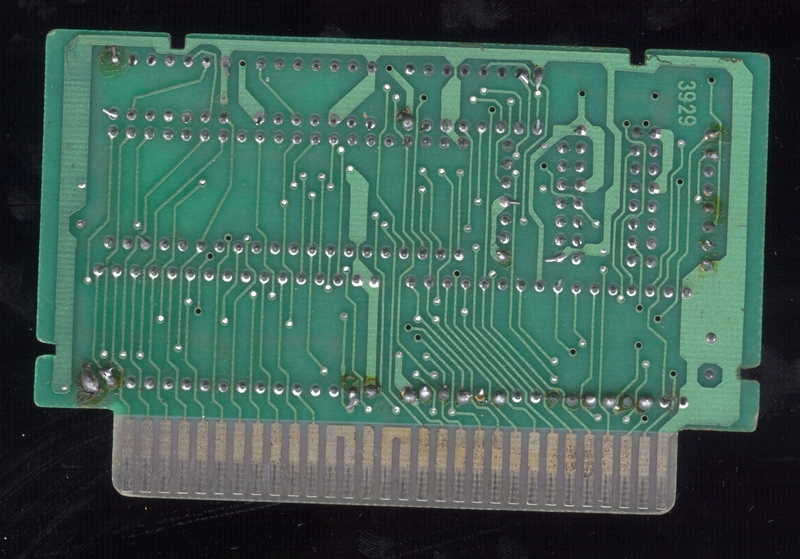 I had to find what was the game by finding most similar ROM sets. 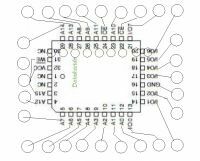 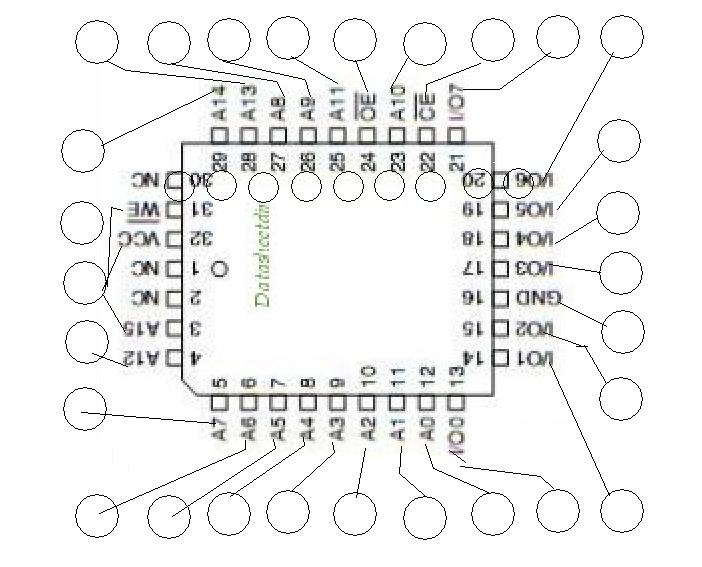 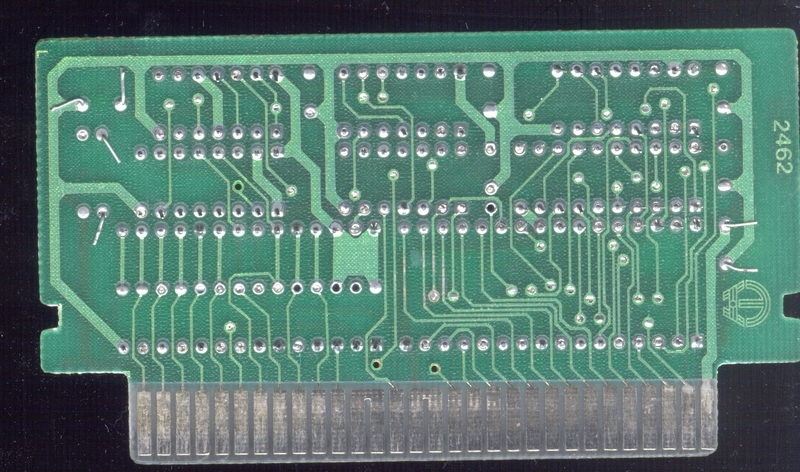 Interestingly, the PCB is exactly the same like previous one, but without 74161 soldered in. 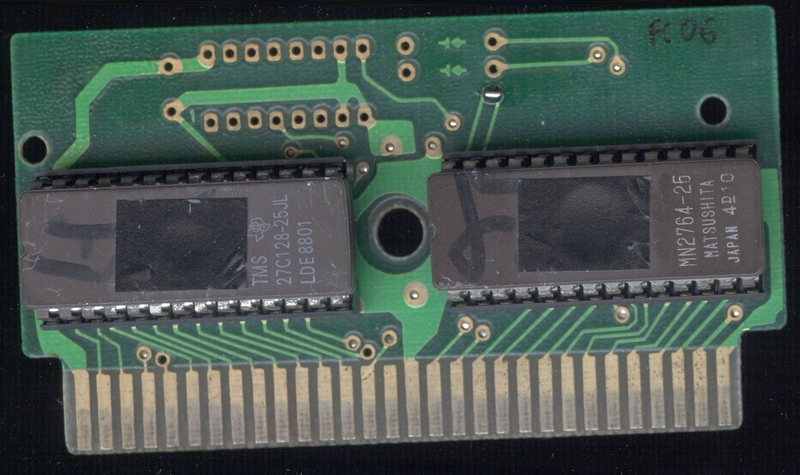 Comments: 256kB MMC1 game, but ROM is divided into two 128 kB chips. 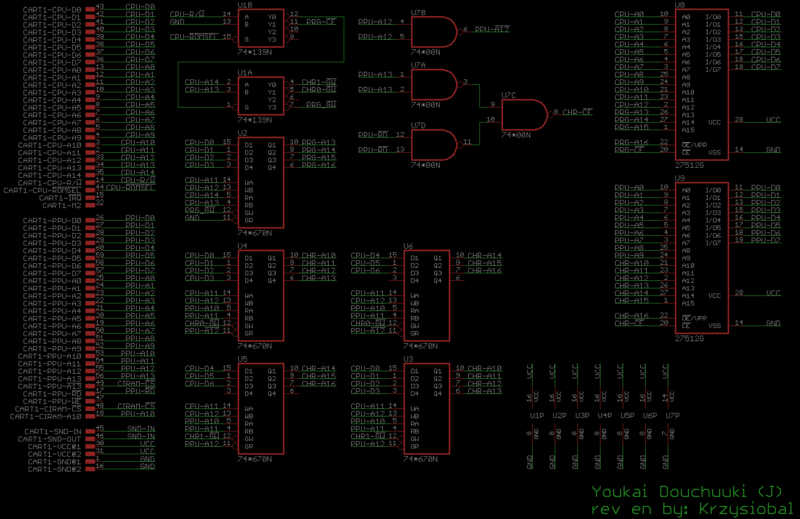 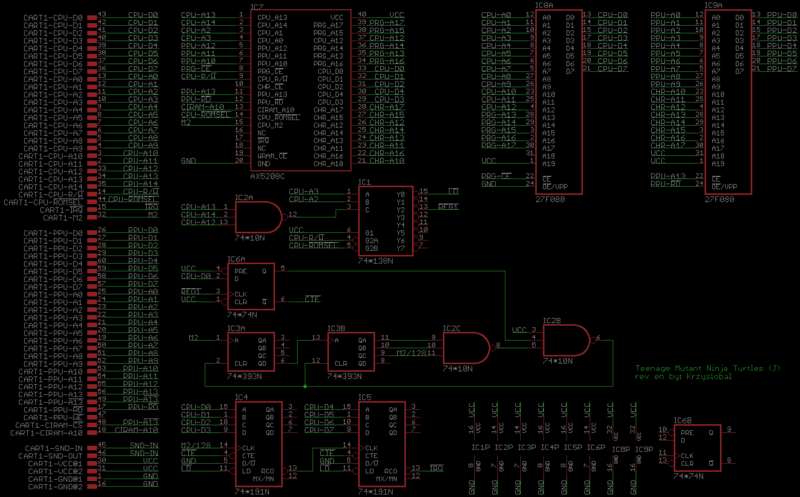 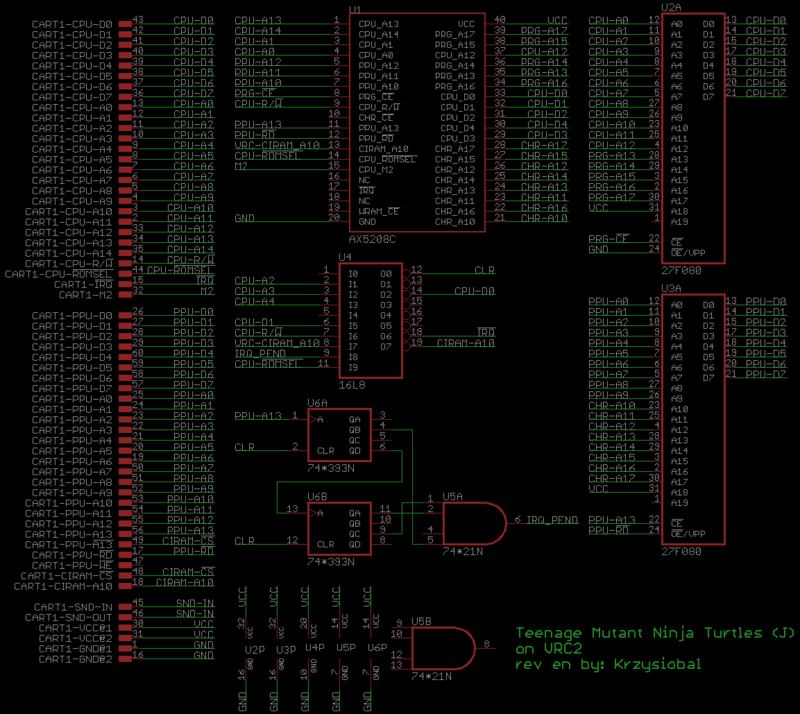 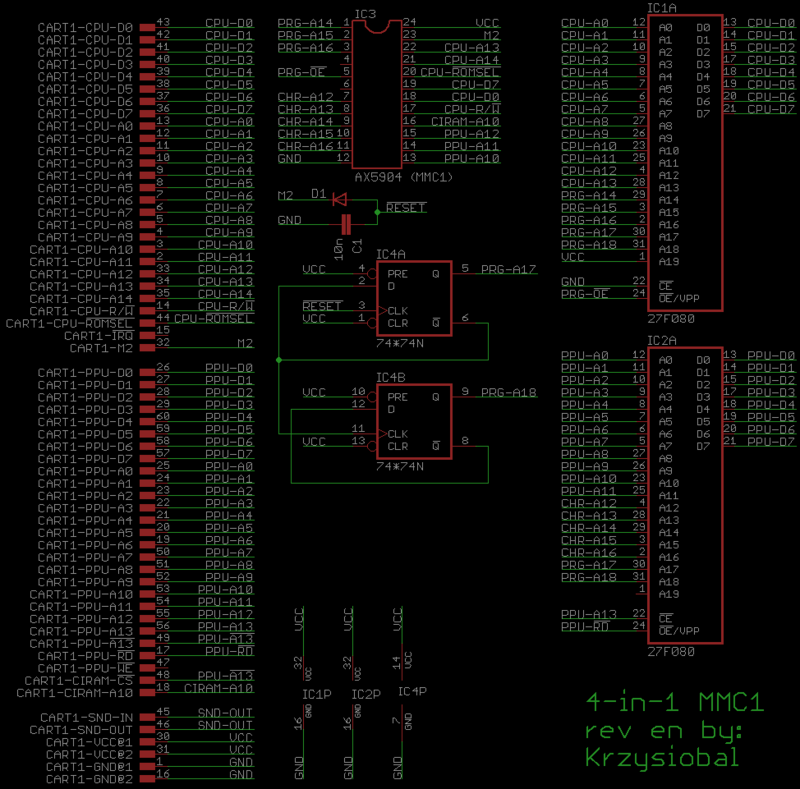 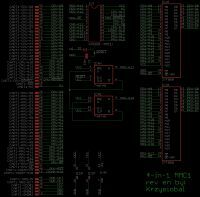 Also, the MMC1 [KS 203] has non-standard pinout and it has external reset line! 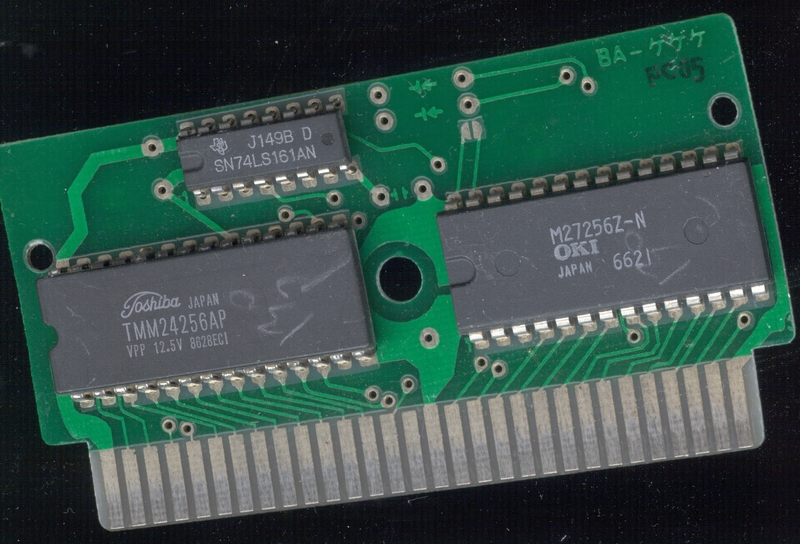 Problems: ROM1 has broken content & RC contant in MMC1 caused staying in reset for too long. 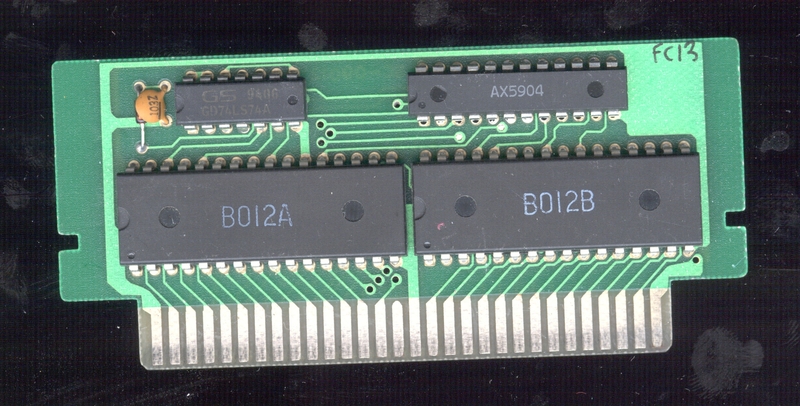 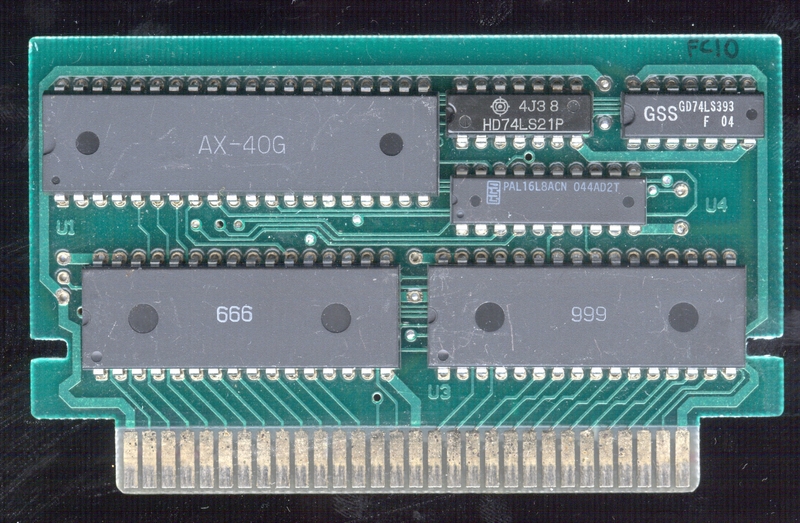 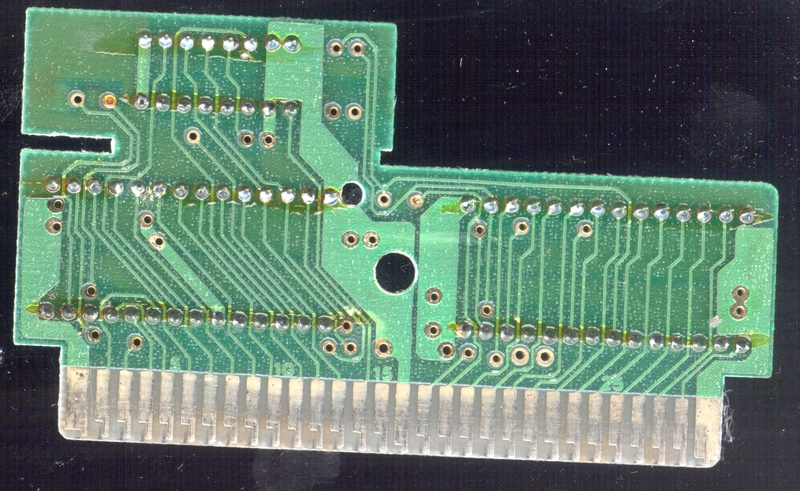 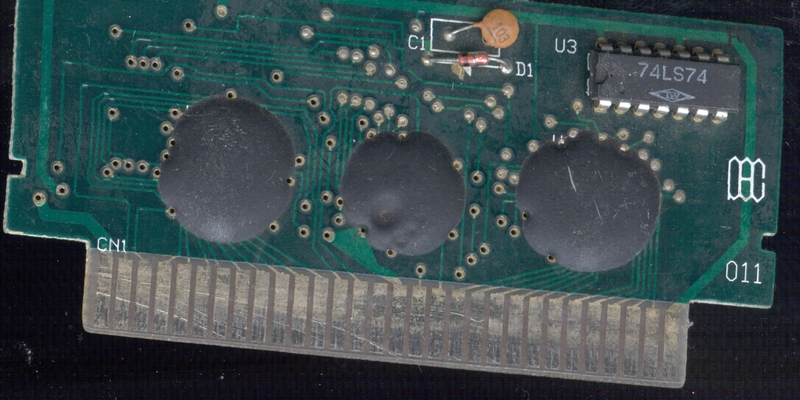 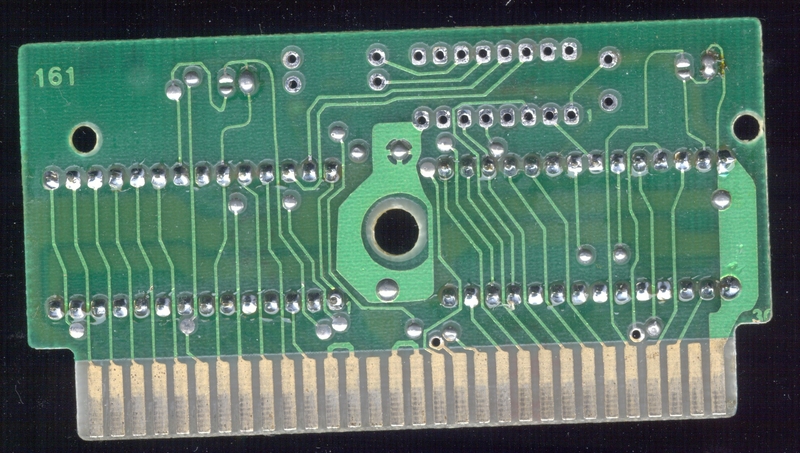 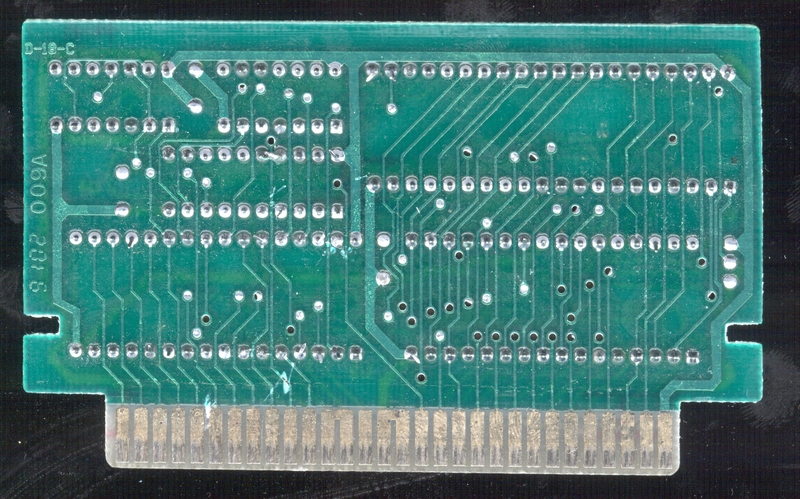 Comments: PRG chip was broken, fortunatelly there were solder pad around so 64 kB PLCC32 flash was soldered. 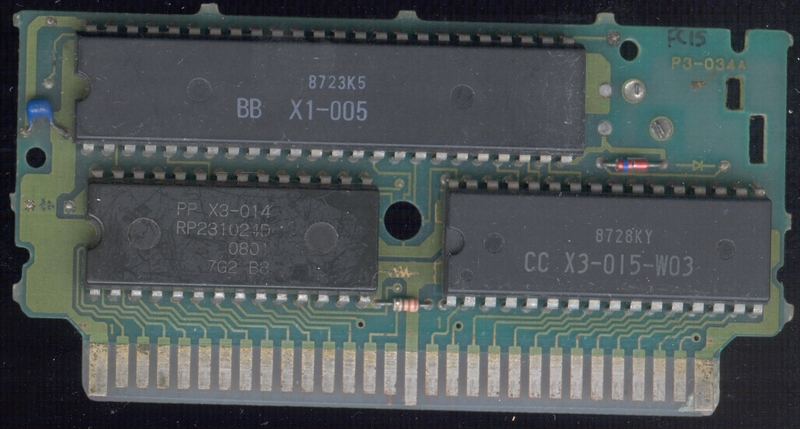 Comments: 2x64 kB PRG chips & 2x64 kB CHR. 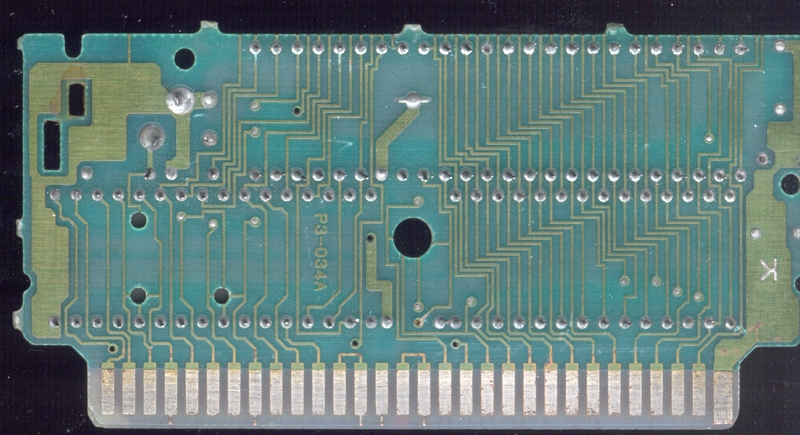 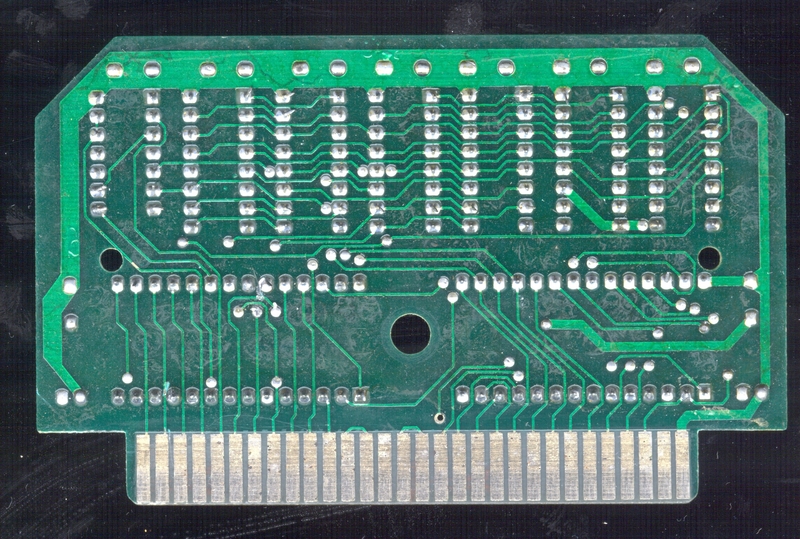 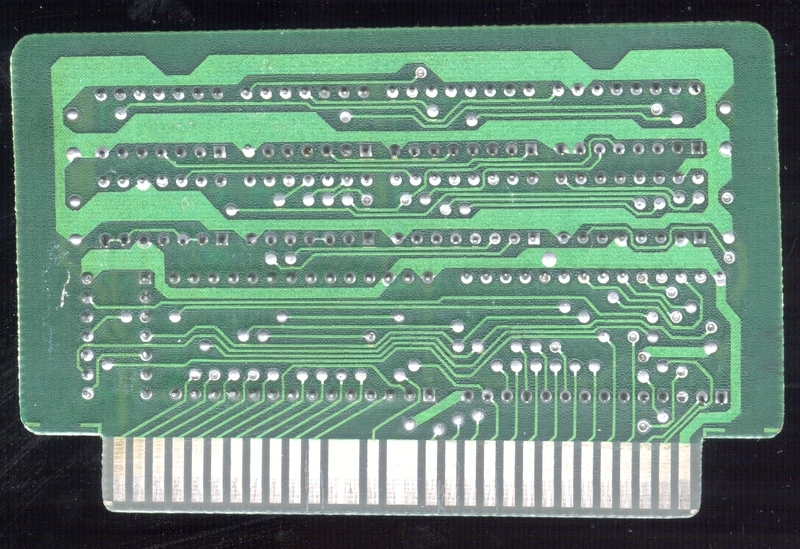 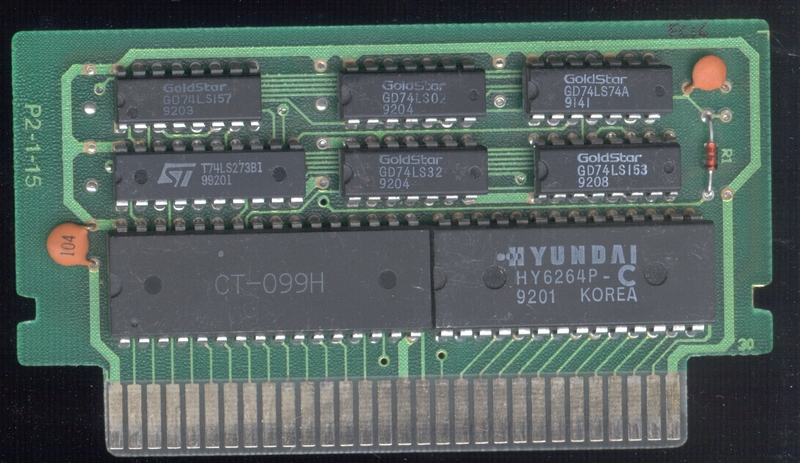 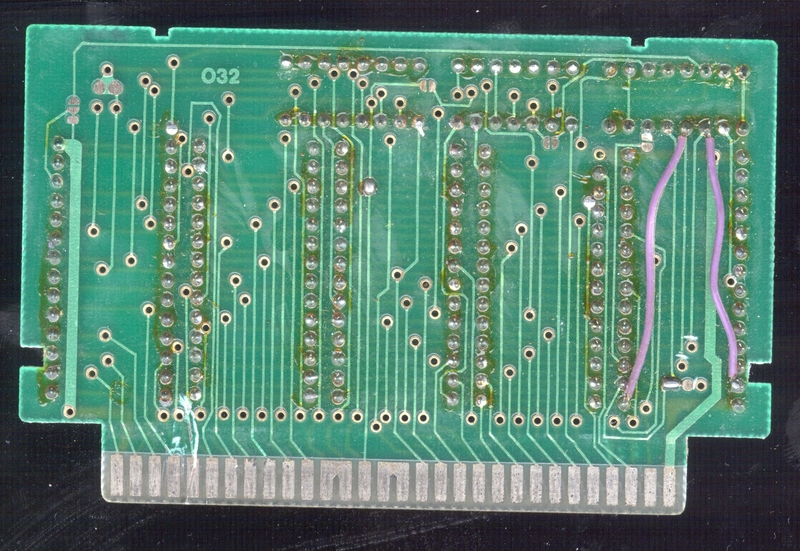 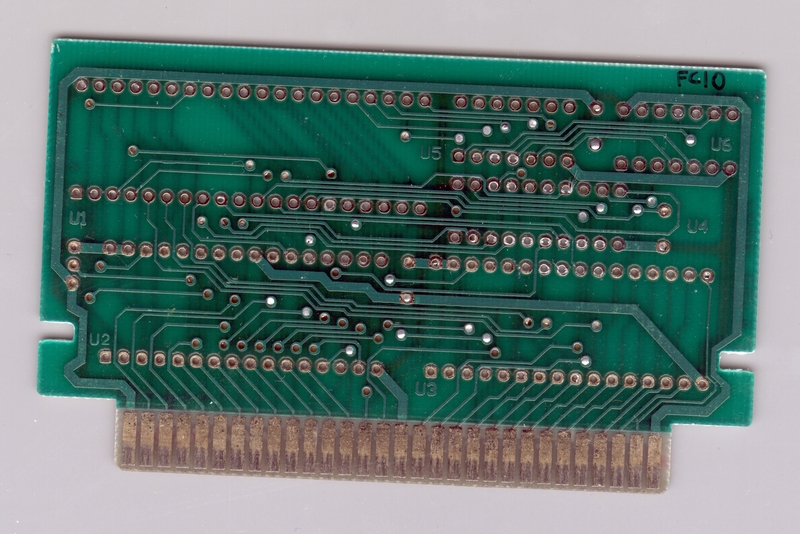 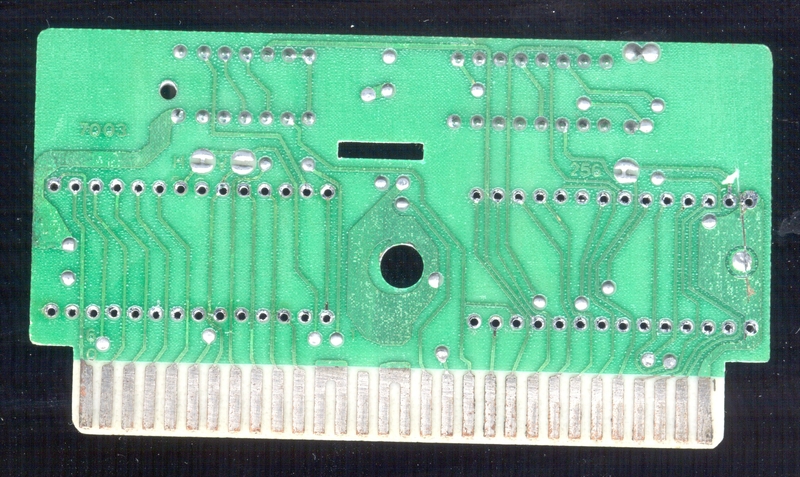 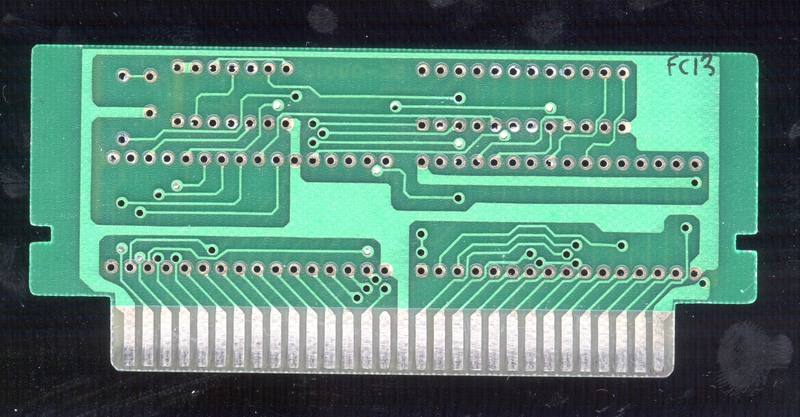 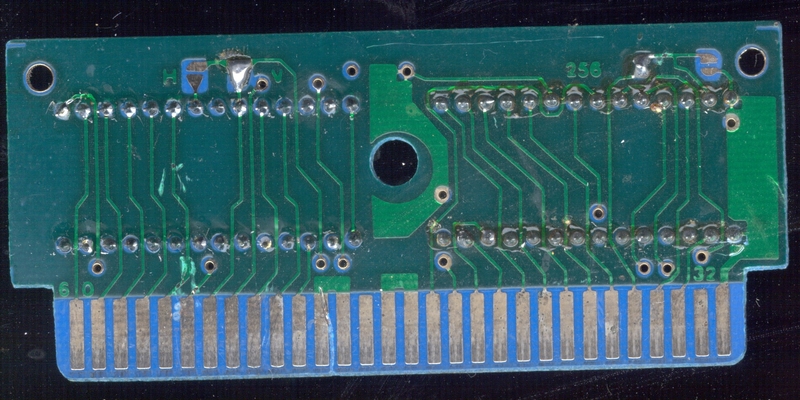 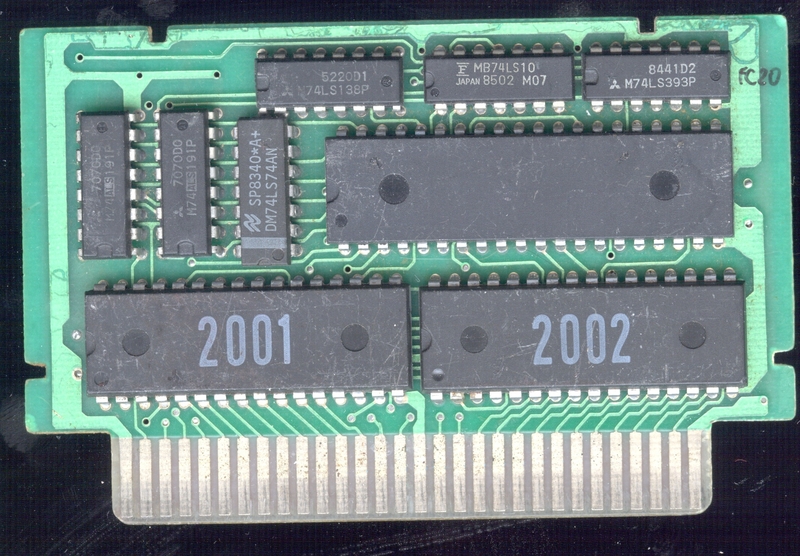 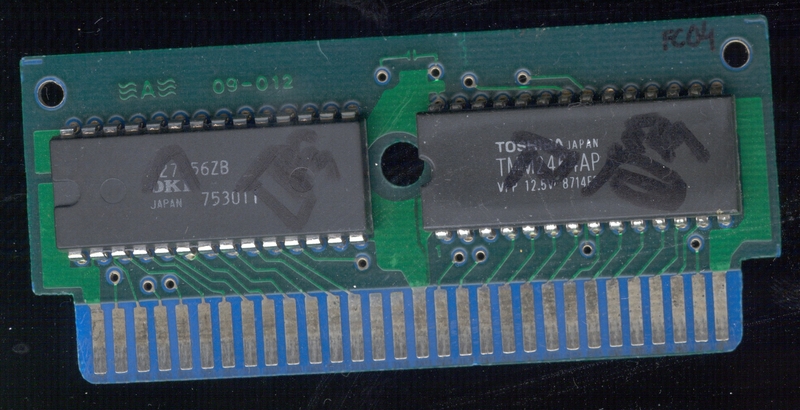 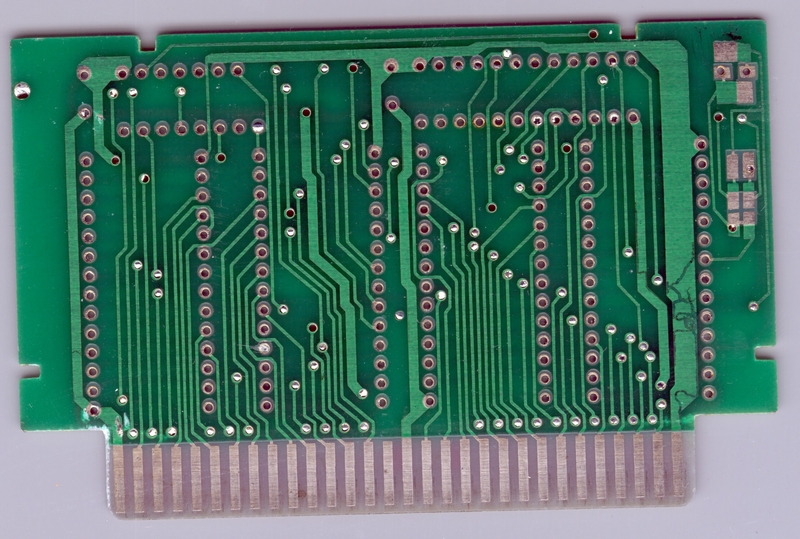 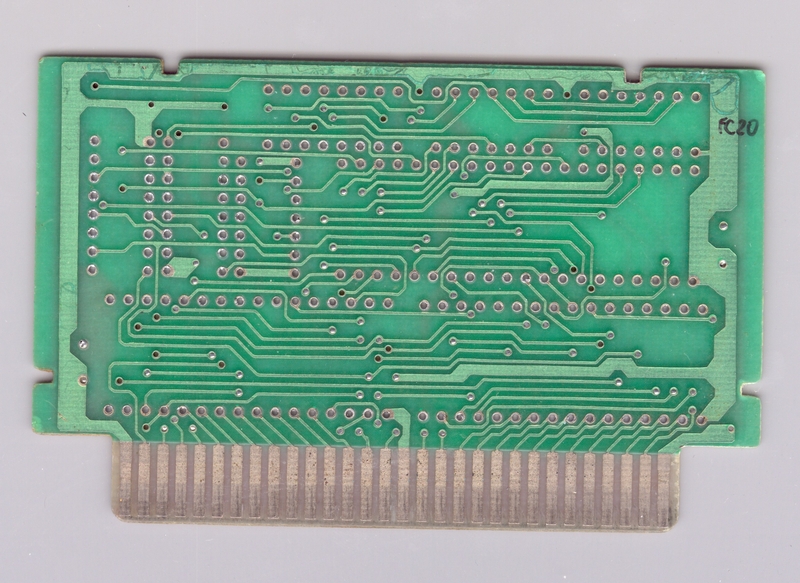 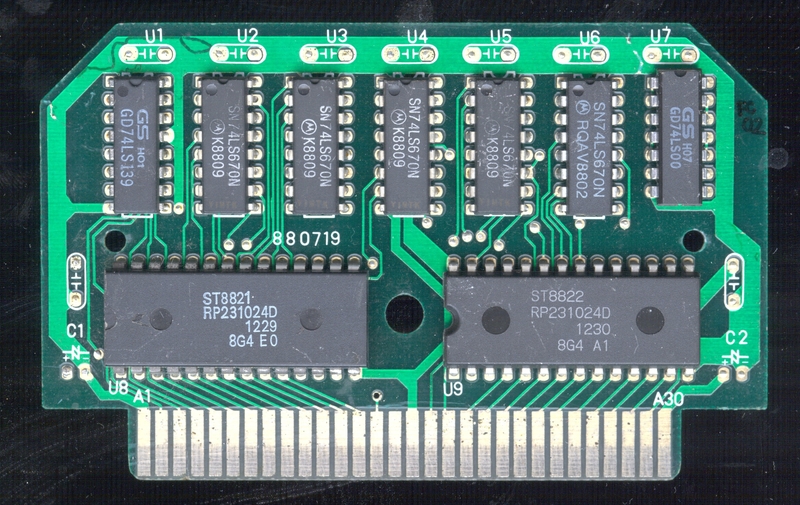 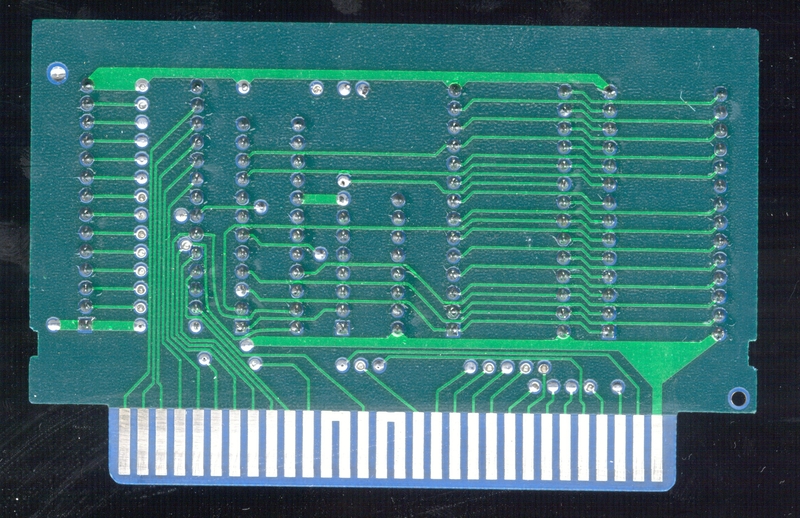 Unfortunatelly MMC1 (standard pinout, without any markings) chip was broken and CHR D1 & CHR D2 traces was broken. 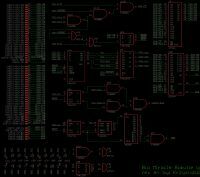 Game wont load if CHR lines are not working properly. 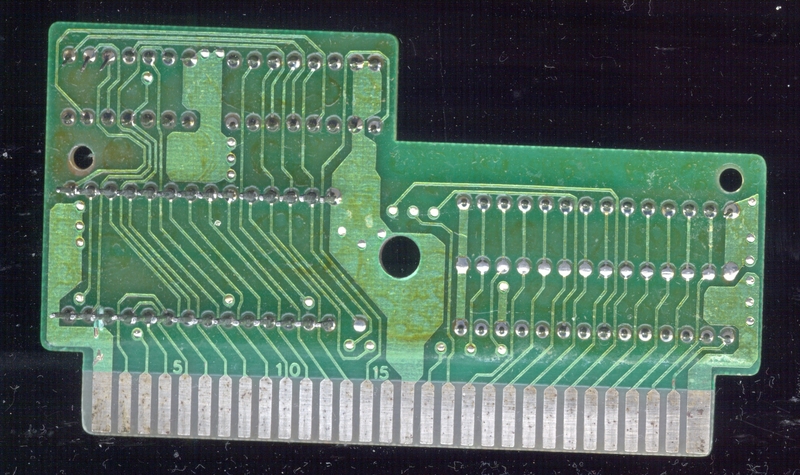 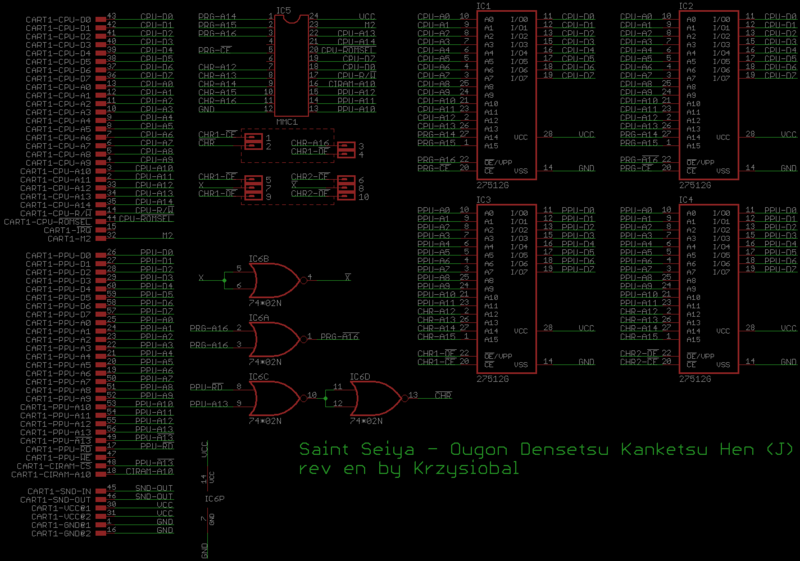 There are some funny jumpers on the PCB which allows also for soldering one DIp28 128 kB as PRG/CHR. 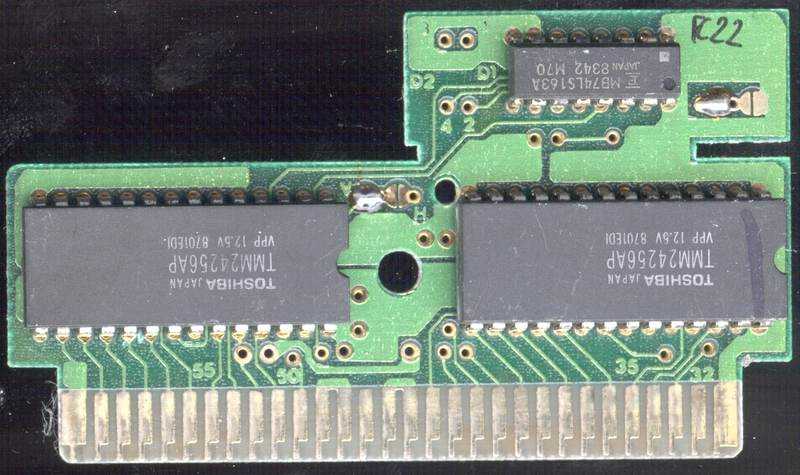 Comments: This is exactly the same like http://wiki.nesdev.com/w/index.php/Rinc ... _cartridge, but without the PRG-ROM patch (and PAL for enabling it). 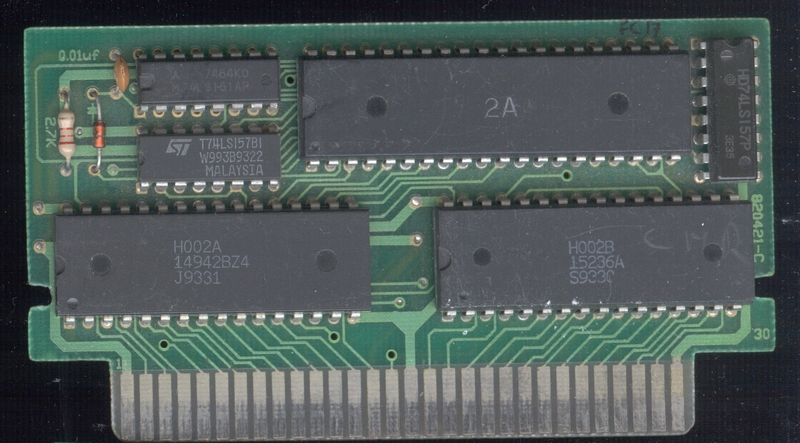 Comments: Original game (on JALECO mapper) probably uses additional effect chip. 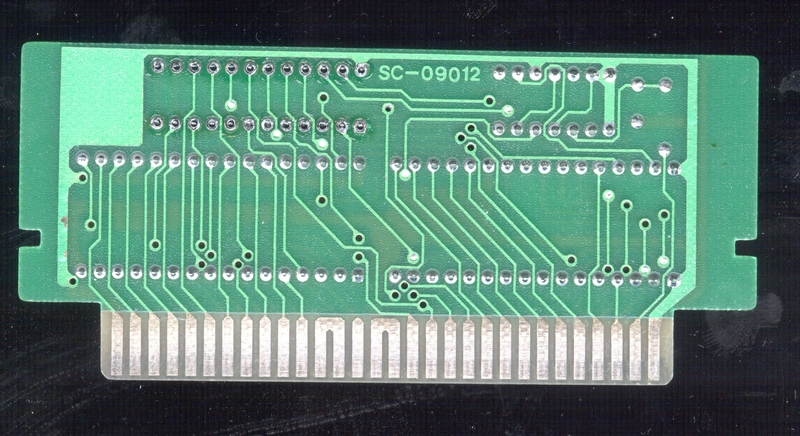 This one does not, but there is resistor between sound from CPU and to rca connector, probably for volume control. 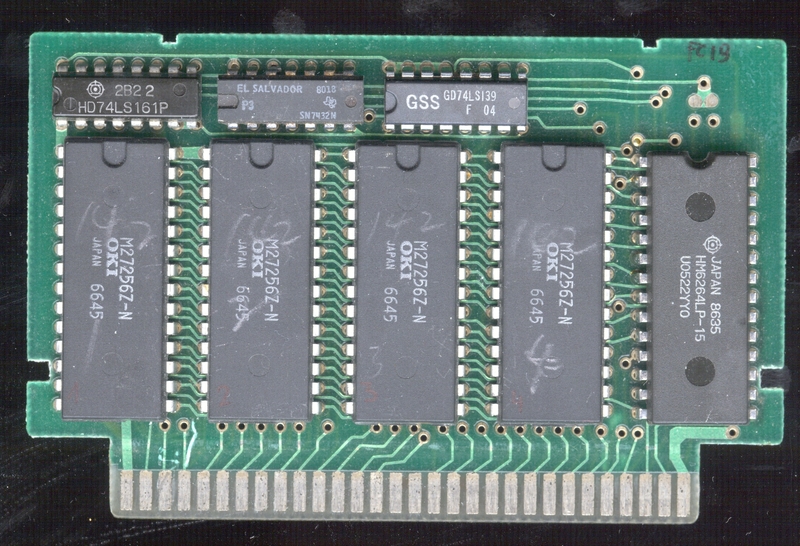 Unfortunatelly PRG memory is broken. 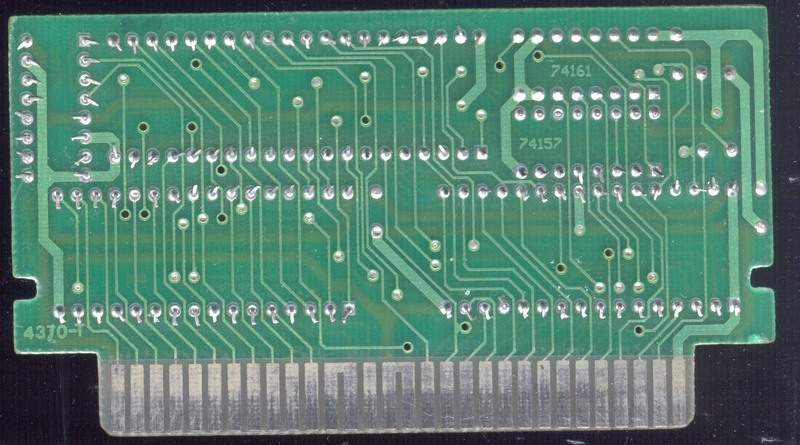 Mmm, much closer to Namco 175 (i.e. 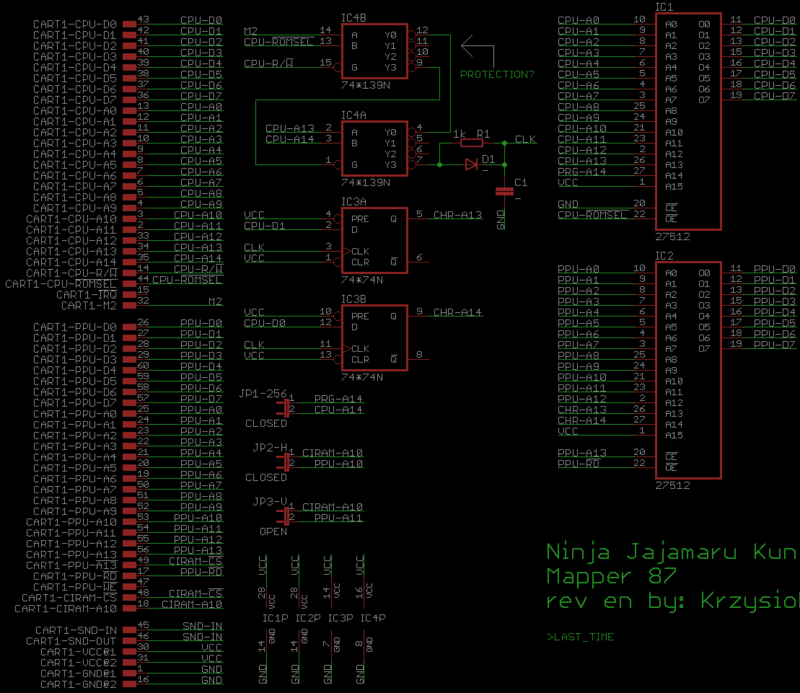 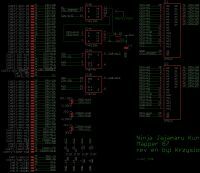 mapper 210) instead of Namco 163. 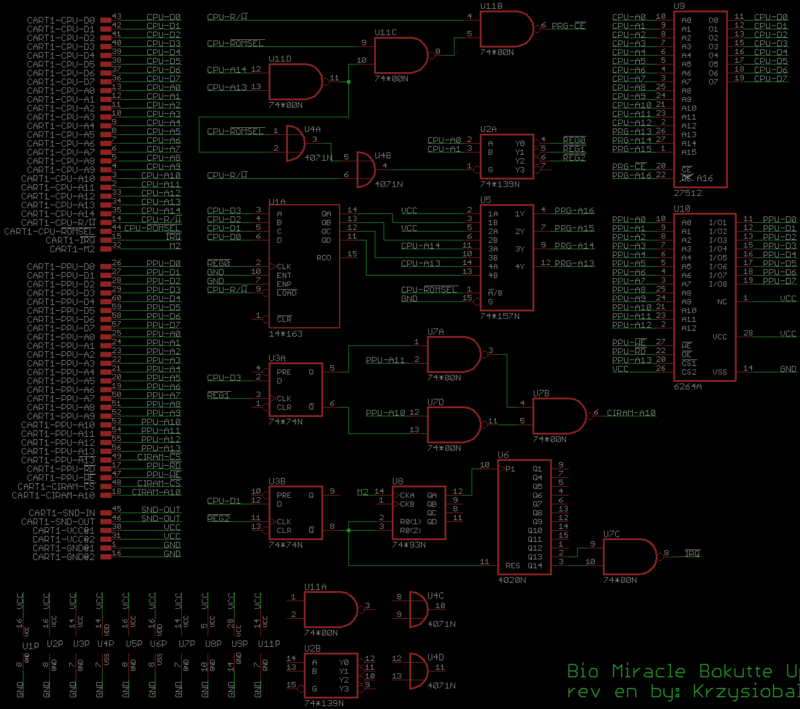 The discrete logic implementation here is the same for the eight registers from $8000 through $BFFF (i.e. 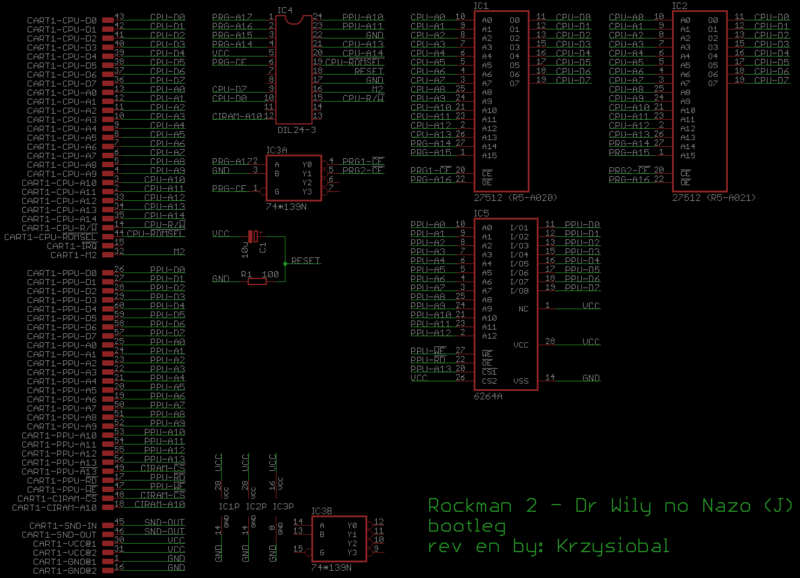 CHR banking) and the three registers from $E000-$F7FF (i.e. 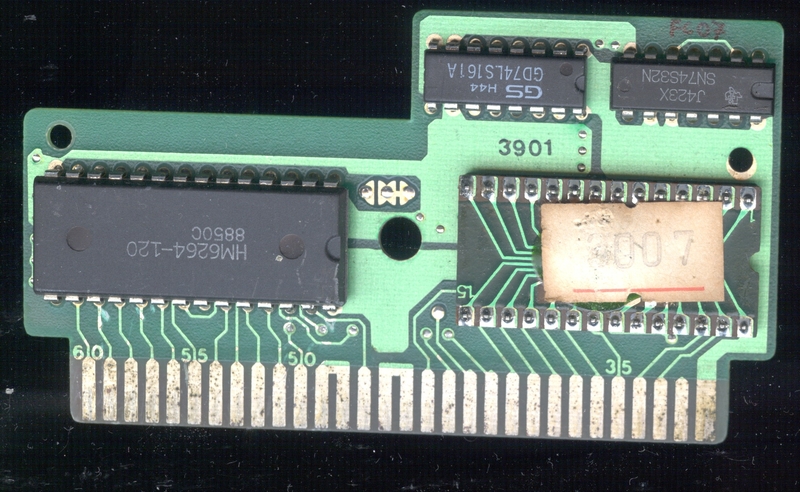 PRG banking) but nothing guarantees that the last bank is fixed to the last bank as Namco's hardware does. 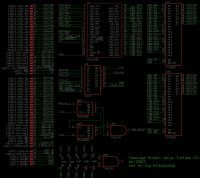 So the 74'670s must (again) power up containing $F, and whatever initialization of the 163's sound hardware (which the game doesn't use otherwise) must have been dummied out. 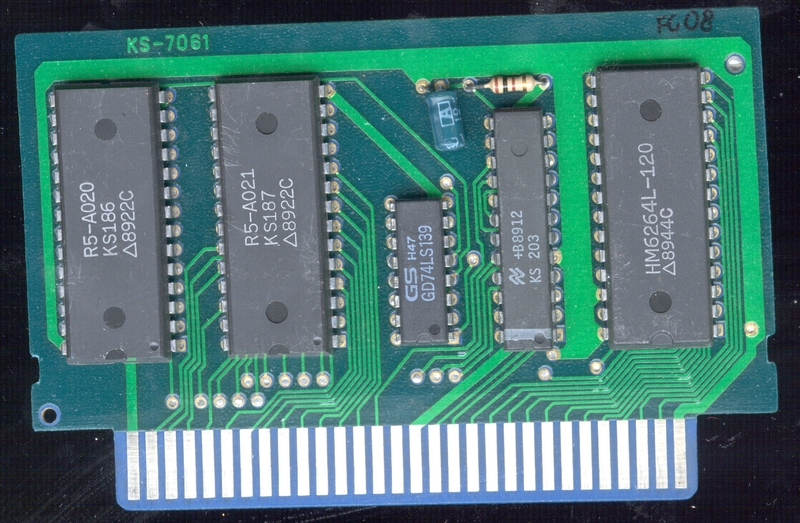 FC21 was likely manufactured by Ka Sheng if you're wondering. 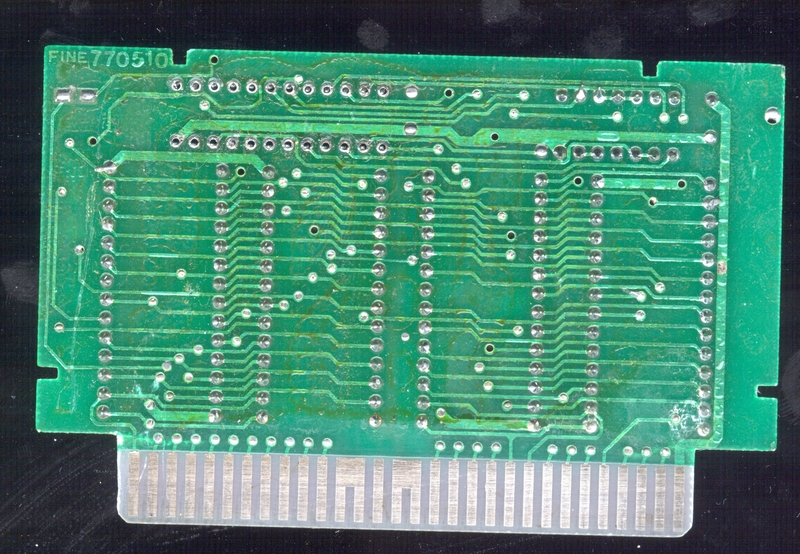 That's their typical PCB code.